Does Mike’s story of negativity and missed opportunities sound familiar? Mike was negative. I worked with him for over a year and it was tough to resist the call of his hope-sucking negativity. But strangely I liked Mike…in small doses. You could see his attitude was increasingly weighing him down, and if he didn’t become depressed then those around him might. You see negativity is infectious and I was at risk because I worked with the guy. For Mike, everything was “What’s the point!” or “It will never work!” He loved to be proved right and hated his world view being contradicted.Good outcomes were viewed suspiciously or with barely concealed disgust because Mike, you see, had a special knack. Mike’s “ability” was to give a negative spin to everything. Mike had never really failed at anything, but only because he had never really tried. He was clever, but used his intellect to reinforce his sour world view. He was motivated, but only to dismantle positivity. His negative take on life became comfortable for him, a way of having certainty (that nothing good could or would happen) in an uncertain world. Mike saw the World as at fault but not himself. Mike wouldn’t believe the idea that he needed to do anything about his outlook. I often reflected on Mike over the years sometimes recognizing his voice in my head when I was tempted to give up on someone or some endeavor believing it to be hopeless when it wasn’t really. To protect yourself from the miserable-Mike outlook, we’ve created this 10 steps course to overcome negativity. And to ensure these new perspectives sink in, each step includes a carefully selected audio hypnosis section to help you more easily absorb and integrate new behavior patterns and helpful mental attitudes that will benefit every aspect of your life. You can relax and absorb the material over time making it naturally yours, as your mother tongue that you learned to speak fluently without even realizing it. 128-page downloadable Course Manual with Progress Checker. 10 hypnosis downloads, one for each Step of the course. 1) Stop Negative Thinking Now – learn to stop negative thoughts before they start. 2) Beat the Everyday Blues – learn to let go of pervasive worry and relax into better everyday mood. 3) Self Sabotage – help you help yourself and stop listening to your own negative ‘hype’. 4) Stop Complaining – break the complaining habit and learn to relax with imperfections and irritations. 5) Dealing with Disappointment – build in flexibility to your expectations and manage disappointment and set-back gracefully. 6) Dealing with Guilt – break the pattern of feeling guilty or ashamed, and take a new view. 7) See the Best in Others – move from viewing others with cynicism and suspicion to a more realistic and sympathetic understanding. 8) No Regrets – stop wallowing in your past and start learning from your experiences and move on. 10) No Excuses – develop a deeper honesty and truthfulness with yourself and take full responsibility for what you do. We’ve put the material in this course together very carefully to make it as easy as possible for you to use, and to review as often as you need. Each Step provides you with vital information, tips, exercises and information about related material. Each Step includes a Progress Checker sheet. The Progress Checker makes a number of statements on the topic covered in that Step, and asks you to indicate how true these statements are when applied to you, giving you a clear and simple way to monitor your progress. Uncover what you’re really capable of and realise your full potential. How much more exciting would life be if anything was possible? 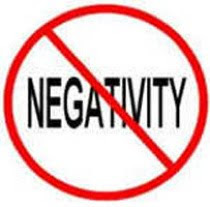 How much better will you feel on a daily basis when that negativity has gone? What will you feel able to attempt once you’re no longer sabotaging yourself? Negativity seeps into us until it affects everything we see, think and do. Which is why a comprehensive solution is required to tackle this pernicious problem for good. Get started on your path to positivity and potential today – just download the course below and you’re on your way. Good luck! Please put your mind at rest – every download is crafted by our team of 4 experienced hypnotherapists, so you are getting the very best self hypnosis available. With more than 250,000 downloads purchased, we are the world’s largest hypnosis provider. However, we realise that not all downloads work equally well for everybody, so if you find this doesn’t do what you wanted, simply let us know within 90 days and we will refund you in full, no questions asked (One order per customer).